Folks, I’ve been “camping” my whole life, so please believe me when I tell you that Pecan Park Riverside RV Park offers a scenic, peaceful location of 24 acres along the San Marcos River, where you’ll find me, and my fuzzy and feathered friends, scrambling around the grove of native pecan trees at the park. Y’all are invited to treat yourself to a relaxing getaway in nature’s beauty. There’s so much to enjoy while you’re here. You may not want to leave! The San Marcos River is a wonder only nature can provide. It starts from a crystal clear underground spring. The abundant foliage along the river’s edge gives the feeling of being in a jungle (or so I heard from a South American bird on vacation up here). There are many native wild creatures, fish, and birds that call this area home. When you stay here, you’ll be immersed in a lush, quiet atmosphere. The mild winters in San Marcos make it a prime destination for “snowbirds” and other “Winter Texans.” Local humidity is lower than that of the coastal cities. And averaging only 30 inches of precipitation per year, we have no real “rainy season” here. Drive your RV along wide paved roads and park in pecan paradise at one of our 116 spacious pull-through or back-in RV sites. Your furry family members (sometimes called “pets,” I hear) are welcome. Just remember to leash and scoop, to do your duty when they do their doody. Some breed restrictions apply, so please check with our office prior to making your reservation. 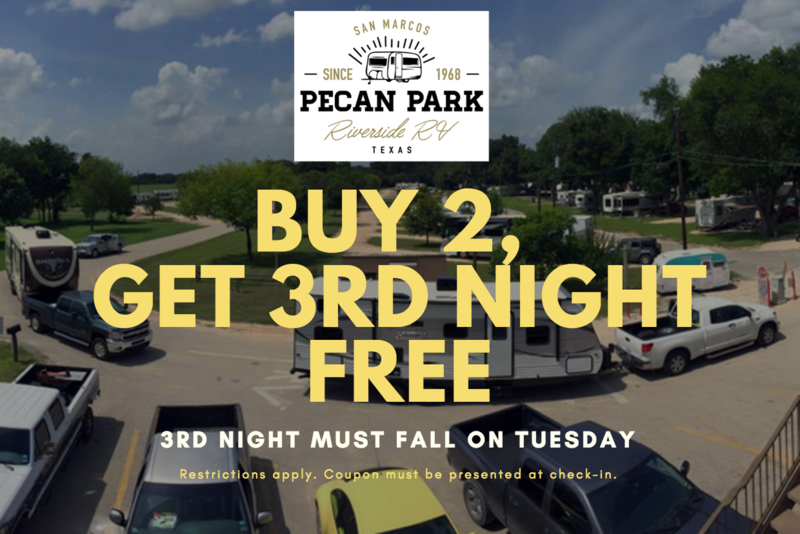 Friends, I invite you to follow me through this site to learn more about the memorable San Marcos River camping that awaits you at Pecan Park Riverside RV Park. 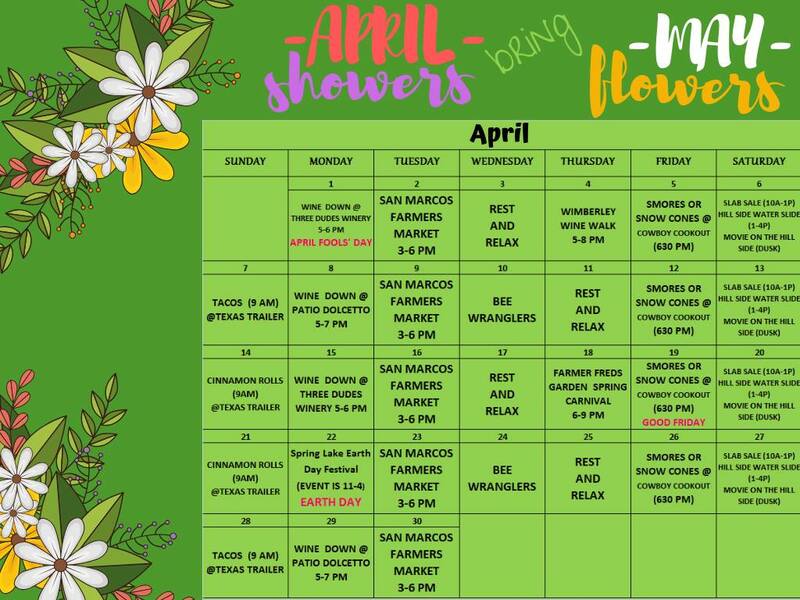 Once you’ve seen our excellent amenities, reasonable rates, and all the attractions in and around the San Marcos River area, you’ll be ready to make your travel plans using our handy reservations form! Big rigs and rallies are welcome!